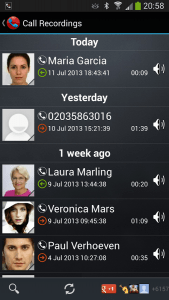 Android call recorder apps are great for business, meetings, conferencing and etc. 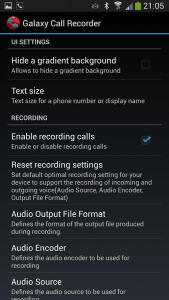 Xiaomi MI devices comes with the android call recording feature by default, and so does most other OEM MTK devices. 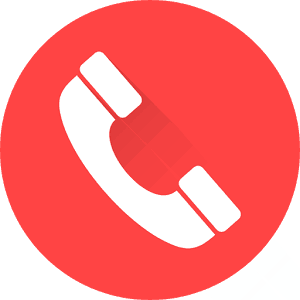 For most of the other Android devices that do not come with this feature enabled, you can make do with any of these top 6 best Android call recorder apps. They are light-weighted and hardly bug your devices’ internal storage memory/allocation. 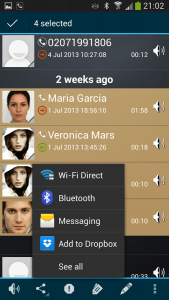 Why a Android Call Recorder App? Android is more than an operating system to this recent time. Android OS has exposed us to much more functionalities and security of our devices, homes and even offices than the Java and Symbian devices of old. We sometimes get into some vital conversations with important people on the phone and will wish to have a record of the call for further investigations or for reference purposes. 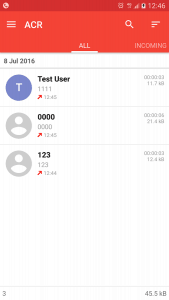 Few smartphone manufactures (Such as Xiaomi mobile) do include bloatware call recording App that enables you to perform these functions while making a call or answering a call, while some skip it. 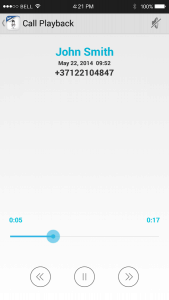 But nevertheless, we need call recording apps as they may be used as communication proofs with others bases on prospective reasons, and that is pure essence of this post. 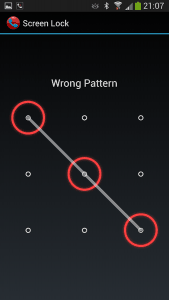 Some of these recording apps also comes with call tracker, giving you access to locate the exact place someone is contacting you from. 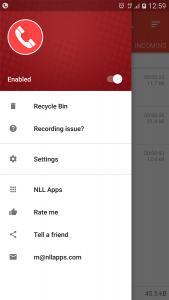 There are many call recording apps available on google play store, but these 6 are best for its function and works great on low-spec’d devices. 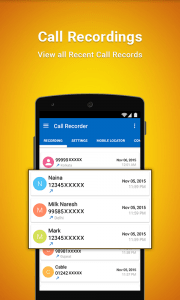 Another Call Recorder is a free call recorder app and is one of the best call recording in google Play Store. 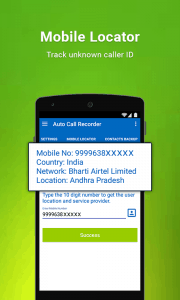 Auto Call Recorder: This App records your incoming/outgoing phone calls in a plain clear sound quality. 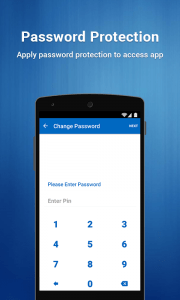 Some of its key features include; Password Protection and Contacts Backup and with this key features, the App is said to bee toll different from other call recording Apps on google play store. 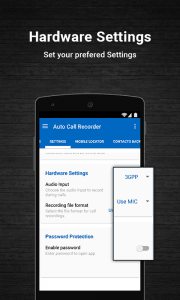 Automatic Call Recorder app lets you automatically record calls on your phone and listen to them later. 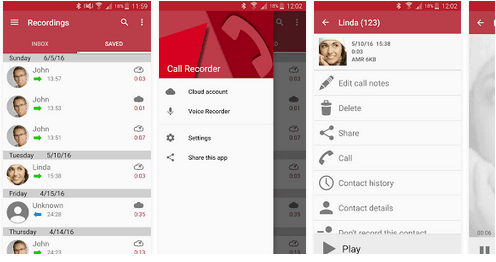 You need not to worry about recording your call, this App automatically does it for once installed on your device. 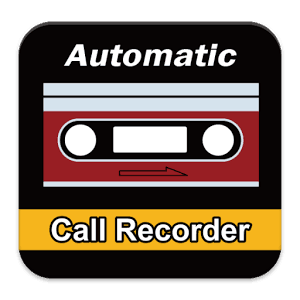 Automatically record incoming/outgoing phone calls; No need to push a record button! Select small recording file formats like mp3, mp4 and 3gp, so you can get live-quality sound while keeping file size small. Important call recording list management. Listen to recorded files using the pre-installed media player. 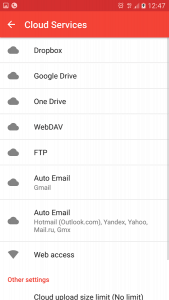 Share recordings through email, mms, or easily use messenger apps installed on your phone, cloud apps, SNS apps, or diary apps. Copy files to your phone’s memory card directly (USB). Always able to check on available memory in order to save space. 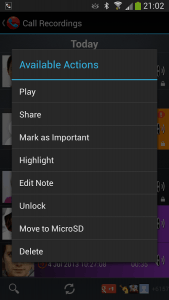 Toggle either to show or hide recordings on your phone’s media player. Easily find recording files by linking to cloud services, PC and other mobile devices. This App is designed to be very simple in use. The App also has options to delete old records automatically or when a record length is not long enough to be saved. you can also choose to disable recording when headphones or Bluetooth device are used or even disabling call recording totally. 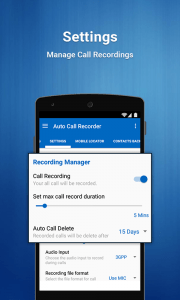 Automatic Call Recorder App as a smart auto voice recorder app for Android lets you record any phone call you want to, and choose which calls you would want to save. 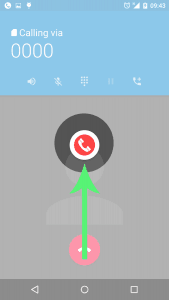 You can set which calls are recorded and which are ignored. Listen to the recording, add notes and share it on email, social networks and sundry. It’s innovative integration with Google Drive™ and Dropbox feature lets you save and synchronize calls directly to the cloud. It allows the recording of both incoming and outgoing phone calls with superb voice clarity. 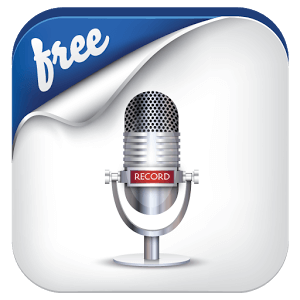 This app is very superb in performance and a must use for any android user that desires a call recording Apps. It comes with many sweet features and listed below. 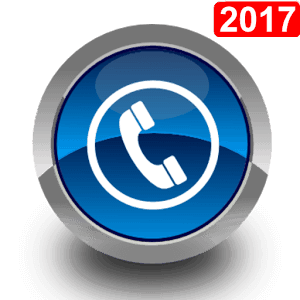 Records both incoming and outgoing calls. 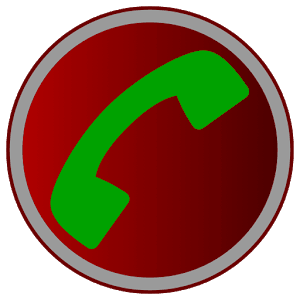 Play or Stop the recorded calls by single touch. Confirmation dialog: Would you like to keep recorded call that is shown just after the call End. Useful for Secret Smart Auto Call Recording. App does not transfer any content outside your mobile. Call recording is great for many reasons. So whatever your reasons for wanting to record your calls either automatically or manually is, you can always bank on these apps. 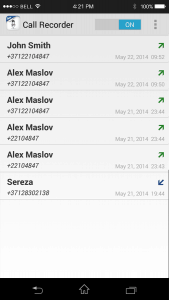 Do you have another great Android Call Recorder App in mind? Feel free to let us know through the comment section below. 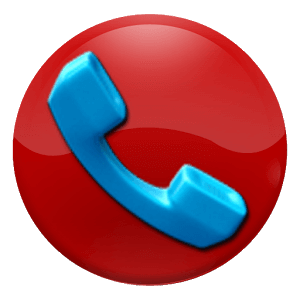 Note: Two Android Call recording Apps can not simultaneously work on a single device, just one of them is more than enough to serve you.